Norman D. Ham, MIT Professor Emeritus, a 1951 graduate of University of Toranto, received his S.M. (1952), Aerospace Engineer (1957) and Sc.D (1968) degrees from the Massachusetts Institute of Technology. In 1953, Prof. Ham became a Senior Engineer for the Fairey Aviation Company, focusing on the design of the Rotodyne compound helicopter. In 1955, Ham returned to Canada, working at Fleet Aircraft, and then was employed by Doman Helicopters in Danbury, Connecticut, to assist in certification of Model LZ-5 helicopter. At Doman, he contributed to the design of Doman-Fleet DF-7 for the Royal Canadian Navy. After obtaining the AE degree, he became the Research Project Engineer at the MIT Aeroelestic and Structures Research Laboratory. 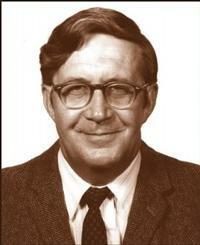 Professor Ham joined the faculty of the MIT department of Aeronautics and Astronautics in 1962. From then until his retirement, he taught undergraduate and graduate courses in aircraft design and the technology of VTOL aircraft, including helicopters, ducted fan, tilt wing, jet vectored lift, and jet vertical lift. His skill as a lecturer at MIT was reflected in the warm and longstanding relationships he held with many of his former students throughout his lifetime. At MIT, Prof. Ham founded and directed the VTOL Technology Laboratory, and conducted pioneering research on dynamic stall and stall flutter, wind turbine flutter, gust response of tiltrotor aircraft, and active control of helicopter rotors. He pioneered the concept of individual blade control, for which he was granted a patent in 1985. To Prof. Ham, IBC did not mean simply pitch link actuators replacing swashplate control, but also included sensing and feedback control of individual blades. Before and after his retirement, he consulted extensively for NASA, the US Army, RAND Corporation and Sandia Laboratories, and for aircraft companies including Boeing, Northrop, Honeywell, Raytheon, TRW, FMC, Sikorsky, Hughes, and Rockwell. Prof. Ham wrote over 50 scholarly papers and received numerous industry awards. In 1953, he won the Cierva Memorial Prize from the Helicopter Association of Great Britain. In 1995, he was recognized with a Certificate of Appreciation for NASA Ames Research Center. He was honored by the American Helicopter Society in 2001 as AHS Technical Fellow for his outstanding achievements and contributions to vertical flight technology. In 2002, he was selected as an Honorary Member of the Society's Education Committee.